NEW YORK (Reuters) - A UBS AG branch manager in Puerto Rico warned bank officials that brokers for the firm had urged customers to engage in improper loan practices, more than two years before the bank made a $5.2 million settlement over the matter with the island’s financial regulator, according to internal bank correspondence reviewed by Reuters. The documents seen by Reuters reflect the branch manager’s allegations that UBS financial advisers encouraged investors to use their brokerage accounts as collateral to borrow money and buy larger quantities of poorly-performing closed-end bond funds packaged by UBS. They suggest that the branch manager told two local bank officers about the alleged loan misconduct. The branch manager says he was told that an audit had been performed, and that he was "totally wrong" about his allegations. In a series of e-mails written in 2012 and 2013 to a UBS compliance officer and a regional manager, former UBS branch manager Carlos Capacete in San Juan wrote about employees at the now-closed Guaynabo branch engaging in improper loan practices. Some of those funds lost almost two-thirds of their value between March 2011 and October 2013 and haven't recovered. UBS spokeswoman Karina Byrne said the firm disagrees with Capacete's version of events. "As is a matter of public record, Mr. Capacete brought his own claims against the firm and they were found by an arbitration panel to be without merit, and his appeal from that decision was denied," Byrne said. Capacete's claim, dismissed by a Financial Industry Regulatory Authority arbitration panel in 2014, alleged that he was paid less than branch managers on the U.S. mainland. Capacete said the arbitrators didn't consider appropriate Puerto Rico law and also sanctioned UBS $5,000 for withholding documents until late in the proceeding. FINRA declined to comment. According to the documents seen by Reuters, Capacete wrote to regional manager Doel Garcia that he had urged UBS Puerto Rico compliance director Mariela Torres in May 2012 to investigate suspect loans. In another email in September, Capacete appears frustrated with the lack of response. "Have you been able to finish the evaluation of transactions ... regarding possible misuse of the UBS Bank credit lines as to transactions for purpose (using the credit lines for buying closed end funds) as per below? Please advise," Capacete wrote to Torres on September 20. On December 17, 2012, Capacete wrote Torres again: "Just a follow-up on. Where are we on this?" he asked. The documents don't indicate whether Torres replied to Capacete's emails. Then in September 2013, Capacete sent his two-page memo to Garcia, detailing what he knew about the allegedly fraudulent loans and how he had learned about the possible wrongdoing. In that memo, Capacete also related his year-long efforts to alert Torres, the compliance officer. "I had asked the legal and compliance people to look into the practice… I was later told by [UBS lawyer] Danielle Tarasen at a meeting that they had performed an audit and that I was totally wrong, that this had not happened," Capacete wrote to Garcia. "I only wonder how that audit was conducted,” he wrote. UBS declined to comment on behalf of Torres, Garcia and Tarasen, who are all still with the bank. Last week the bank said in its earnings report that the Justice Department has opened a criminal inquiry into whether some customers and an unidentified UBS financial adviser "used non-purpose loans to invest in closed-end fund securities in violation of their loan agreements and UBS policies." With "non-purpose" loans, borrowers can use securities in their brokerage accounts as collateral for money to finance things like home improvements, but not investments in more securities. In January 2014, UBS fired financial adviser Jose Ramirez in San Juan for promoting a loan strategy which violated the firm's policy and clients' loan agreements, according to Ramirez's public disclosure report. Ramirez has been identified in media reports as the UBS financial adviser at the center of the Justice Department inquiry. Guillermo Ramos-Luiña, a San Juan lawyer representing Ramirez, declined to confirm the probe, or whether Ramirez is a target. 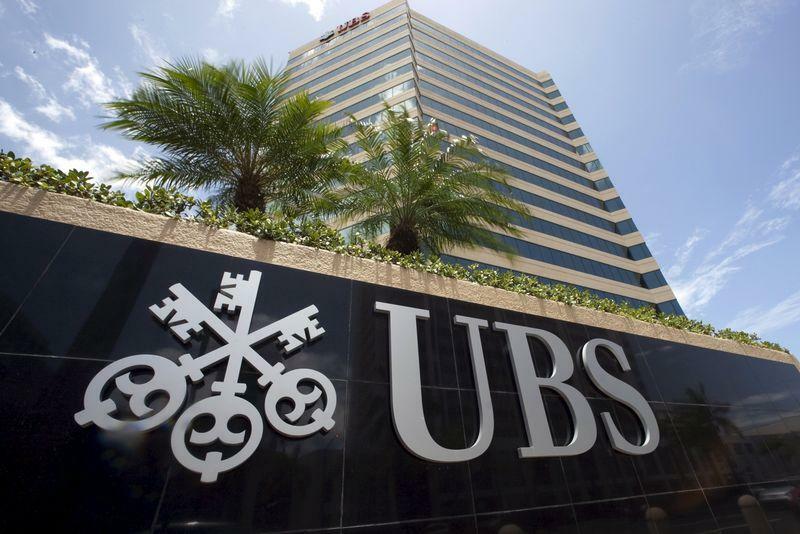 UBS disclosed only that it "understand[s]" that the Justice Department is probing the loans, Guillermo Ramos-Luiña said. "I'm not in the business of speculating. Only the DOJ knows if the scope, nature and target of any investigation it is conducting," he said. The U.S. Securities and Exchange Commission and FINRA are also investigating potentially fraudulent loans related to the bond funds, the bank said. UBS said it is cooperating with the SEC, FINRA and DOJ probes. Using debt to buy more securities amplifies risk for an investor and can trigger cash flow problems for the bank if there are big market fluctuations, said Sarah Jane Hughes, a banking law professor at Indiana University's Maurer School of Law. Rules that limit the amount of debt that investors can use are civil, but a conspiracy to violate them would be a criminal matter, Hughes said. In October, UBS entered a $5.2 million settlement with Puerto Rico's financial regulator stemming from the improper loan practices, without admitting to any wrongdoing. The firm also agreed to beef up supervision of six brokers whom Puerto Rico regulators found "may have" directed their clients to improperly borrow money to buy funds. The settlement did not identify the brokers because Puerto Rico's commissioner of financial institutions, Rafael Blanco, did not intend to take action against them, he said at the time. Blanco declined to comment for this story. Will Limbach Holdings Continue to Surge Higher?